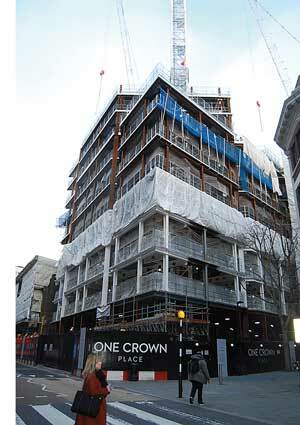 Structural steelwork on One Crown Place, a prestigious mixed-use project in east London, is nearing completion. The scheme consists of 246 residential apartments in two towers, reaching heights of 29 and 33 floors respectively, 15,500m² of Grade A office space, and a boutique hotel and restaurant. Working on behalf of main contractor Mace, Severfield is fabricating, supplying and erecting 2,600t of steel for the project. 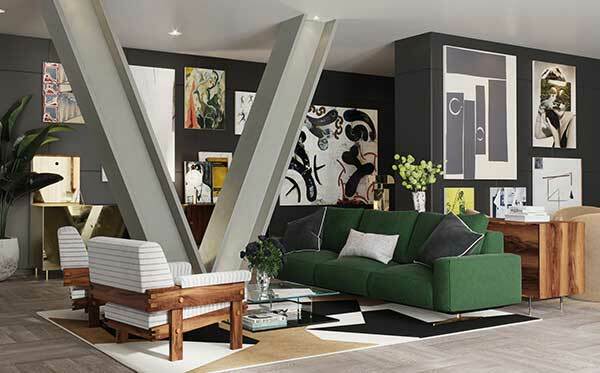 The steelwork forms a six-storey podium that supports the two reinforced concrete apartment towers and accommodates the scheme’s six floors of column-free commercial space. The podium structure is topped by a series of 15 trusses that accommodates levels seven and eight within their depth and, importantly, allow the residential parts of the development to have a much smaller column grid pattern. The truss elements will be left exposed as architectural highlights within levels 7 and 8 (see above). Level 7 will accommodate a gym, a work hub, private screening room, meeting space and other exclusive amenities for the residents, while level 8 is given over to apartments.